NOTICE: If you are a regular patient of Fischl Dental Associates and are experiencing a dental emergency outside of business hours, please call our office at (847) 864-0822. New patient emergencies are seen only during regular business hours. 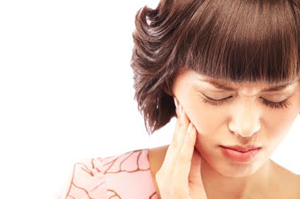 Any dental emergency like an injury to the teeth or gums can be potentially serious and should not be ignored. Ignoring a dental problem can increase the risk of permanent damage as well as the need for more extensive and expensive treatment down the road. The staff of Fischl Dental Associates are highly trained in treating all common emergencies, including toothaches, chipped or broken teeth, knocked-out teeth, extruded or partially dislodged tooth, objects caught between teeth or under the gum, lost fillings, lost crowns, lost temporaries, broken braces wire, abscesses, TMJ pain, swelling, and soft tissue injuries to the lips, cheek, and gum. If you are experiencing a dental emergency, please contact Drs. Fischl immediately. We will make arrangements to treat your dental emergency as soon as possible.